The black bean aphid is more commonly known as 'Black fly'. 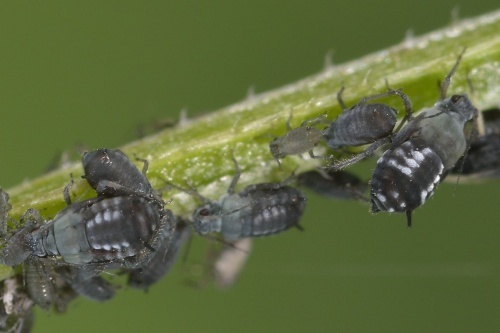 Adult aphids are up to 2mm long and elliptical in shape. 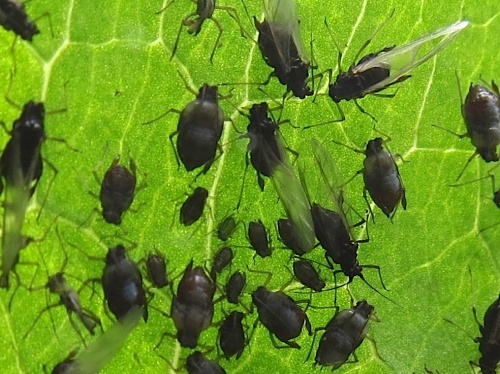 They are black in colour, although they can also appear dark green or purple. 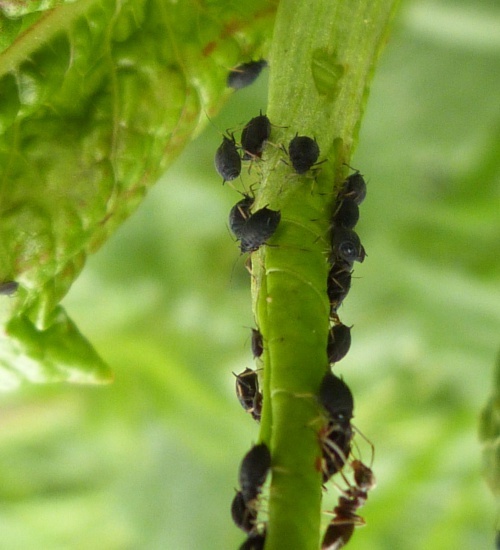 Colonies can usually be found on the undersides of leaves as well as on soft new shoot tips or buds. Black bean aphids cluster together and are noticeable because of their dark colouring. 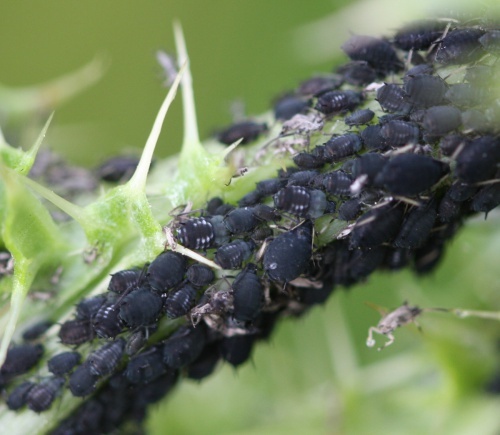 During the warmer months aphids give birth to as many as five live young a day, so large colonies can develop very quickly, they can affect a wide range of garden plants, trees shrubs and certain vegetables (mainly beans and peas). 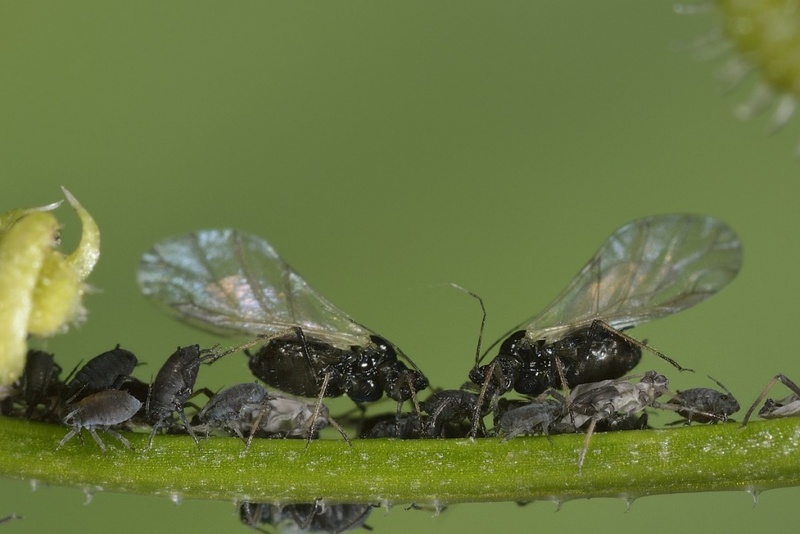 When the colonies become over-populated, they move to different locations by producing winged aphids. During the cooler months, aphids mate and produce eggs which overwinter.